Peacefully, on Sunday, November 11th, 2018 at Grey Bruce Health Services, Southampton in her 87th year. 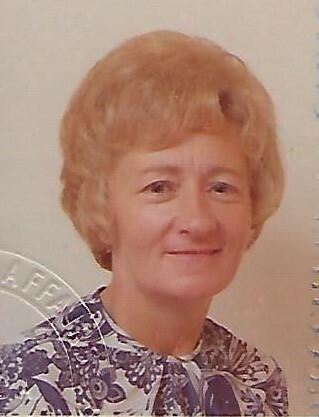 Janet, beloved wife of Thomas for nearly 65 years. Loving mother of Scott and his wife Kim. Dear sister of Joseph Martin. Predeceased by her sister Betty McNeil. Friends will be received at the T.A. Brown Funeral Home, 510 Mill Street, Port Elgin, 519-832-2222 on Wednesday, November 14th, 2018 from 12:00pm until the time of the memorial service at 1:00pm. A Royal Canadian Legion Memorial service will be held at 12:45pm. Memorial donations to the Pancreatic Cancer Canada Foundation would be appreciated by the family.